The San Francisco 49ers were the first major league professional sports franchise based in San Francisco, and one of the first professional sports teams based on the West Coast of the United States. The team also became the first “big four” sport (i.e., baseball, football, basketball, or hockey) franchise to play in the Western United States. The Cleveland Rams moved to Los Angeles the same year. 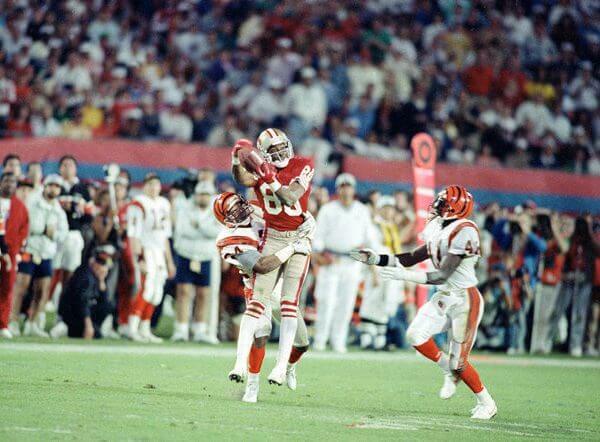 The 49ers defeated the Bengals by the score of 26–21 to win their first Super Bowl. The game was played on January 24, 1982, at the Pontiac Silverdome in Pontiac, Michigan, a suburb of Detroit. It marked the first time that a Super Bowl was held at a cold-weather city. The domed stadium saved the crowd at the game from the very cold and snowy weather, but the weather did affect traffic and other logistical issues related to the game. Super Bowl XVI also became one of the most watched broadcasts in American television history, with more than 85 million viewers, and a final national Nielsen rating of 49.1 (a 73 share). The 49ers defeated the Dolphins by the score of 38–16, to win their second Super Bowl. The game was played on January 20, 1985, at Stanford Stadium, on the campus of Stanford University in Stanford, California. The game was hyped as the battle between two great quarterbacks: Miami’s Dan Marino and San Francisco’s Joe Montana. The Dolphins entered their fifth Super Bowl in team history after posting a 14–2 regular season record. The 49ers were making their second Super Bowl appearance after becoming the first team ever to win 15 regular season games since the league expanded to a 16-game schedule in 1978. 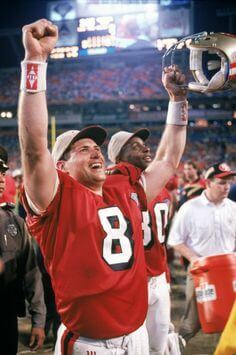 The 49ers defeated the Bengals by the score of 20–16, winning their third ever Super Bowl. The game was played on January 22, 1989 at Joe Robbie Stadium in Miami, Florida, the first Super Bowl hosted in the Miami area in 10 years, and the first in Miami not held at the Orange Bowl. This was the second meeting between these two teams in the Super Bowl; their first meeting was seven years earlier. The game was also the third rematch between Super Bowl teams after Super Bowl XIII and Super Bowl XVII. This was the Bengals’ second Super Bowl appearance after finishing the regular season with a 12–4 record. The 49ers were making their third Super Bowl appearance after posting a 10–6 regular season record. 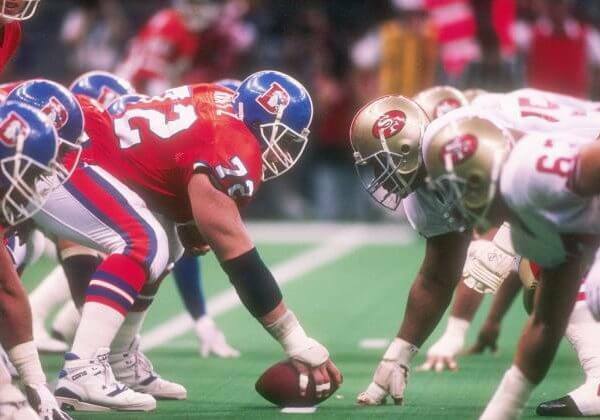 Played on January 28, 1990 at the Louisiana Superdome in New Orleans, Louisiana, the 49ers defeated the Broncos by the score of 55–10, winning their second consecutive Super Bowl, and tying the Pittsburgh Steelers with four Super Bowl victories. 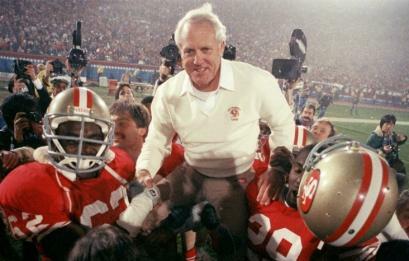 San Francisco also became the first team to win back-to-back Super Bowls with two different head coaches; rookie head coach George Seifert took over after Bill Walsh retired after the previous season’s Super Bowl. The 49ers finished the 1989 regular season with a league best 14–2 record. The Broncos, who posted an 11–5 regular season record, entered the Super Bowl looking to avoid tying the Minnesota Vikings with four Super Bowl losses. The 49ers defeated the Chargers by the score of 49–26, becoming the first team to win five Super Bowls. The game was played on January 29, 1995 at Joe Robbie Stadium in Miami, Florida (now part of the suburb of Miami Gardens). 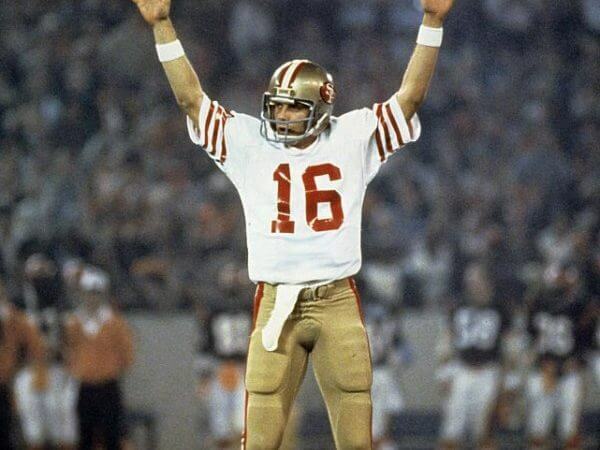 This game is regarded as 49ers quarterback Steve Young’s final leap out of the shadow of his predecessor, Joe Montana, who had won four Super Bowls with the 49ers (in 1982, 1985, 1989, and 1990), two with Young as the backup quarterback. With Young at the helm, and a defense consisting of several veteran free agents that joined the team during the previous off-season, San Francisco finished the regular season with a league-best 13–3 record, and led the league in total points scored (505). The Chargers, on the other hand, were regarded as a “Cinderella” team, and advanced to their first Super Bowl after posting an 11–5 regular season record and overcoming halftime deficits in both their playoff wins. On November 8, 2006, reports surfaced that the 49ers ended negotiations with the city of San Francisco about building a new stadium and plan to do so in Santa Clara, 38.3 miles south of the team’s current home field, Candlestick Park in San Francisco; Santa Clara already hosts the team’s administrative headquarters and training facility. The Yorks and then-San Francisco mayor Gavin Newsom had been talking over the last few months about building a privately financed stadium at Candlestick Point that was intended to be part of the city’s bid for the 2016 Summer Olympics. The 49ers’ final decision to move the stadium ended the San Francisco bid for the 2016 Summer Olympics. The 49ers sponsored Measure J, which appeared on the June 8, 2010 Santa Clara, California ballot, to build a new stadium as the future home of the San Francisco 49ers in that city. The measure passed with 58.2% of the total vote. This was seen as the first step for the 49ers stadium relocation to a new venue to be built in Santa Clara. The 68,490-seat, Levi’s Stadium, landed rights for its first event. The stadium will be home to the Fight Hunger Bowl. 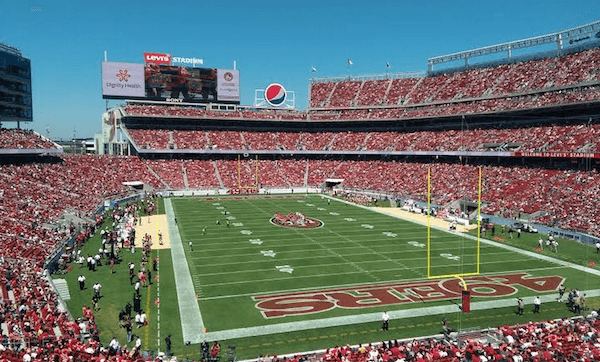 On May 8, 2013, the NFL’s San Francisco 49ers announced that San Francisco based Levi Strauss & Co. had purchased the naming rights to their new stadium in Santa Clara, California. 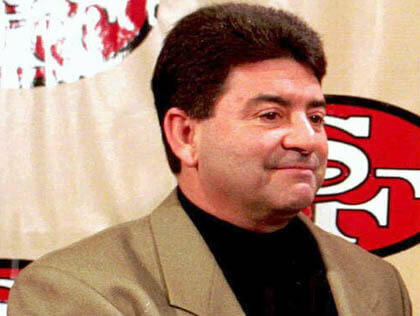 The naming rights deal calls for Levi’s to pay $220.3 million to the city of Santa Clara and the 49ers over 20 years, with an option to extend the deal for another five years for around $75 million. The team was founded in 1946 as a charter member of the All-America Football Conference (AAFC) and joined the NFL in 1949 when the leagues merged. The 49ers were the first major league professional sports franchise based in San Francisco. 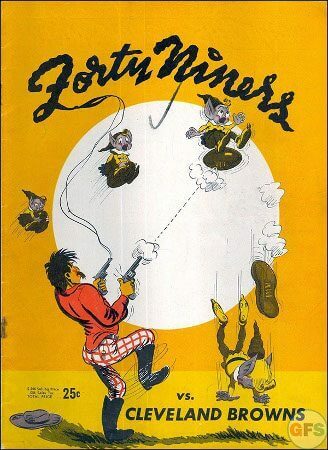 The name "49ers" comes from the prospectors who arrived in Northern California in the 1849 Gold Rush. The team is legally and corporately registered as the San Francisco Forty Niners, Ltd. The team began play at Kezar Stadium in San Francisco before moving across town to Candlestick Park in 1970 and then to Levi's Stadium in Santa Clara in 2014. 49ers - The 49ers name was adopted when San Francisco obtained an AAFC franchise in 1946. The name was selected as a recognition of the pioneering and adventurous spirit of the men of the 1849 gold rush in the Sierra Nevada mountains east of San Francisco. Who is the greatest San Francisco 49ers? - Edward J. DeBartolo, Jr.